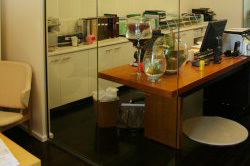 Clearly Glass Systems has been providing quality frameless glass systems to customers across Brisbane, the Gold Coast, and Southeast Queensland for over 20 years. Innovative and passionate, our expert design team has experience in traditional applications and cutting-edge alternative methods. We’re a solutions-orientated organisation that always strives to exceed our customers’ expectations. This means you can expect your frameless glass system to be delivered on time and on budget, with a high standard of workmanship that is second to none. You’ll love our quality products and exceptional after-sales service. Whether you’re an architect, designer, builder, homeowner or renovator, you can trust Clearly Glass Systems to provide a stunning frameless glass solution to suit your style and space at a competitive price. Be inspired by some of our previous frameless glass systems. Whether you’re looking to add a little luxury to your bathroom with a glass shower screen or create a safe and stylish glass pool fence that doesn’t detract from your pool and outdoor living area, we can tailor a solution that suits you. We can provide a high-quality balustrade to suit every need and complement any commercial or residential property. Safety is always a priority. Our stunning glass pool fencing adds a touch of sophistication to any home. Customised to suit your needs and made to withstand the elements, you can choose from clear, textured or tinted options. From frameless sliding shower screens to semi-frameless shower screens and inline shower screens, we design, manufacture and install shower screens for all applications. 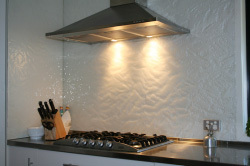 Add flair to your kitchen, laundry, bathroom, or sliding doors with a coloured painted glass splashback. Be as simple or as bold as you want! Get the designer look in your bedroom with a sleek fineline mirror or painted sliding wardrobe doors. screen through to the unimpeded freedom of a glass pool fence. You want your glass to look flawless for as long as possible. That’s why we use EnduroShield™. EnduroShield™ glass protection is designedto enhance your glass balustrading and pool fencing. It creates an invisible shield, protecting your glass against discolouration, corrosion, and etching caused by sea salt, salt and chlorinated water, animal droppings, and pollution. By sealing the porosity of your glass balustrading and pool fencing, EnduroShield™ keeps your glass looking crystal clear and easy to maintain. If you’re looking to enjoy a stylish and spotless glass balustrade or pool fence without the hassle of excessive cleaning, you can rely on Clearly Glass Systems to provide you with a low-maintenance product that’s designed to look brand new for as long as possible. EnduroShield™ makes cleaning your glass systems easy – all you need is water and a mild detergent or water and microfibre cloth or mitt. Don’t forget to use a squeegee to remove any excess water after cleaning to avoid streaks. 10-year warranty on new glass.